This card holder resembles a gift box. The box has a brushed silver finish and the ribbon/bow have glitter. 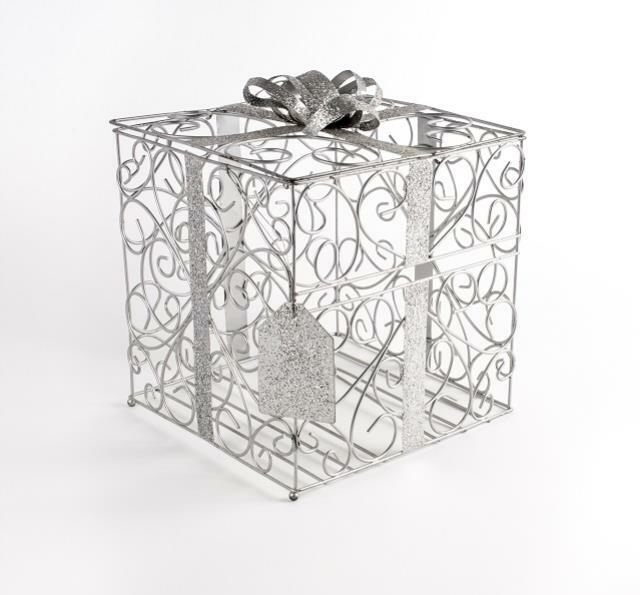 * Please call us with any questions about our card holder gift box rentals in Columbia and Jefferson City MO.